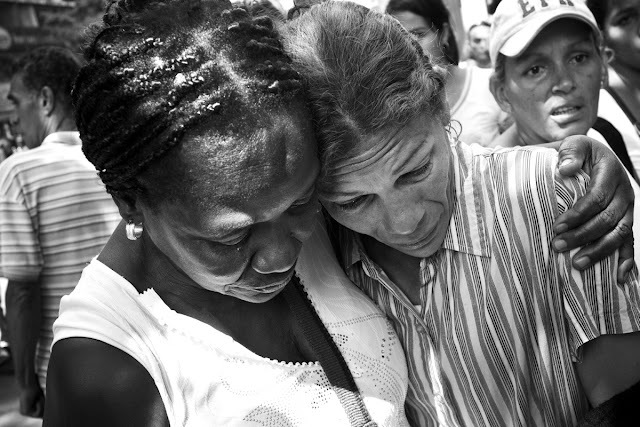 VENEZUELA— Award winning photojournalist, Oscar B. Castillo has covered socio-political issues in several areas including Haiti, Mexico, Cuba, Venezuela, Argentina, Syria and India. His work has been featured in Venezuela, France, USA, Germany and other countries. In our interview, Oscar discusses the hardships of his birthplace, Venezuela, where women are the protagonists of a grief-stricken story. Though they remain as casualties and victims of a political, criminal and an emotionally taxing war, they diligently work to keep their families together, in spite of their many losses. 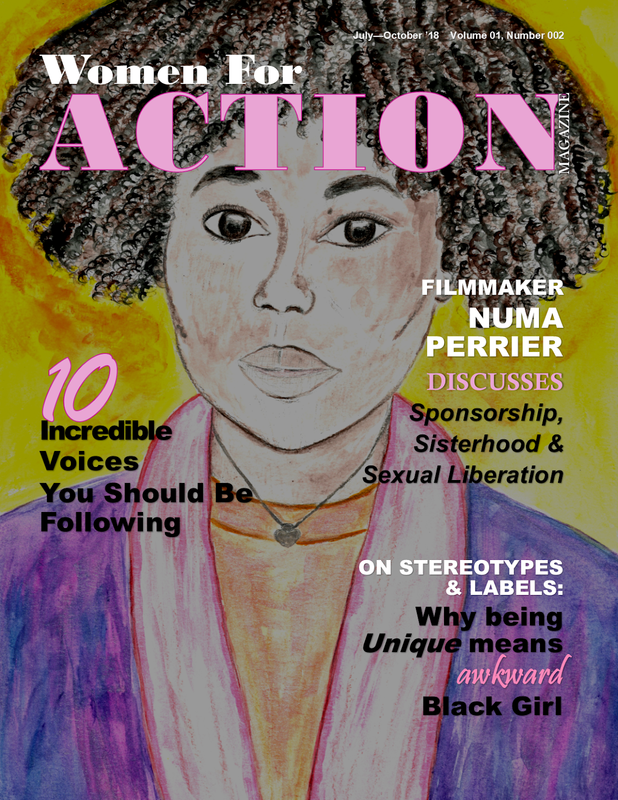 Women For Action: Oscar, tell us a little about you and what led you to work in photojournalism? 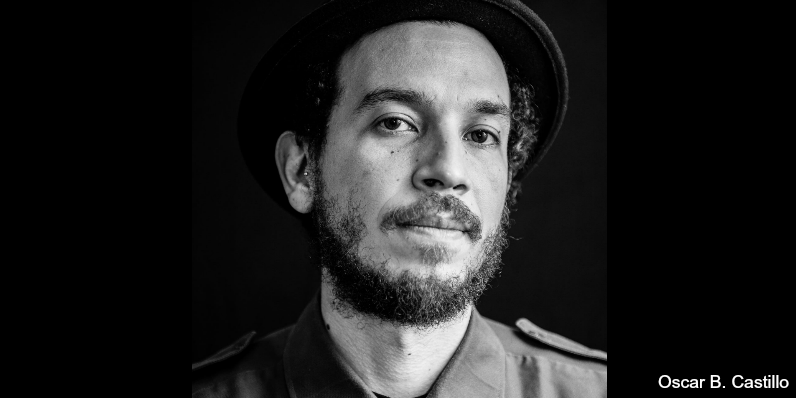 Oscar B. Castillo: As you know I am from Caracas, Venezuela, and for a long time after attending university, I have been traveling around Europe, here and there, living my life a little bit parallel in many ways to the society and focusing on social movements. I spent a lot of time in Italy but also in other areas throughout Europe, participating in squats and attending parties; it was a beautiful and interesting period. It was the freest time in my life. From there, I witnessed a lot of heavy problems in the society and at the end of that experience, I returned to Venezuela looking for a way to retain those histories, experiences and such. Suddenly after that, I don’t have too many memories and pictures of that period in my life. So, I turned to photography to express and to keep some memories to myself. I started with artistic and conceptual photography. I like experimenting with the traditional process of photography—with chemicals, paper, multi exposure and so on. I was doing this in a very basic way, without a studio, yet this put me in contact with the subject. It was good to get close to the circumstances of the people. 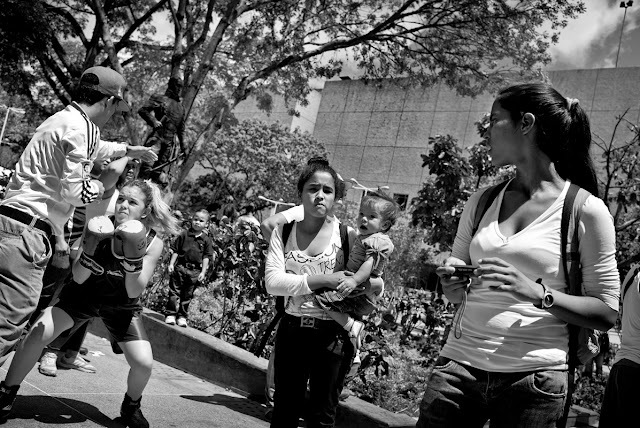 So, step by step, I moved from a conceptual style to photojournalism. I got close to the social movements and the various issues I had been seeing everywhere. I thought photography could be a useful medium for communication. Of course, with time, the idea of photography and photojournalism changed a lot but basically those were the first steps. 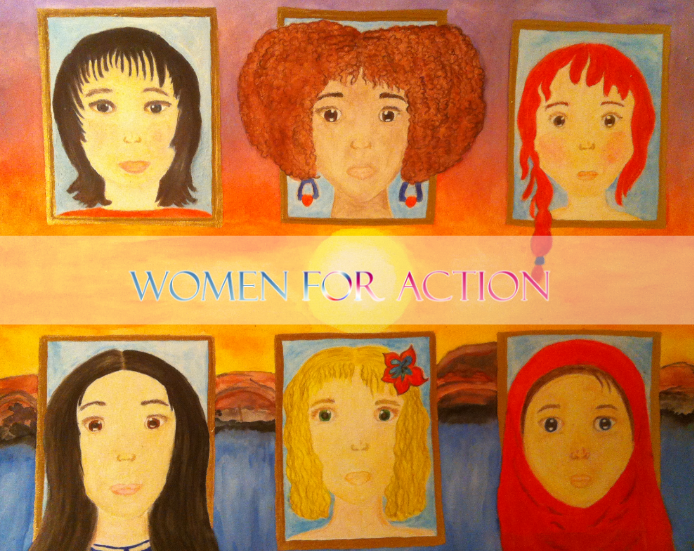 Women For Action: I noticed a common theme to your work is examining some of the violence in Venezuela and other Latin American areas which is known to the international world as having high rates of femicide. There is an explicit emphasis of a machismo culture in these areas and women should dare to challenge this. What are your thoughts on this? Oscar B. Castillo: It’s very difficult talking about violent countries in my experience. Venezuela is an extremely violent country. Women are a target of course in these places but I think Venezuela is not a specific femicide place and should not be compared to the high-levels incidents in Guatemala or the murders that occured in Ciudad Juarez, Mexico. You know, of course there is a big problem, and there are many women who are victims of violence, not only murders, but also high rates of attacks and aggressions. Yet, in Venezuela specifically, I could not say it's the most violent place towards women. Women are victims of violence in high levels compared to men. And I am not trying to reduce the catastrophe of the attacks on women but, looking at the statistics, it’s really the young men between 19 and 26 that represent the biggest part of the population related to violence. Venezuela has a machismo society but there is a respect in many circles towards women as being the base of society. The basis of its violence are the young men who are caught in a criminal cycle due to the economic problems. These young men shoulder the responsibility of providing food for the family. There is a lot of work to do. Of course the situation is oppressive and the Latin culture is very machismo. However, in Europe, the physical violence on women is in some ways quite similar. For example, when I lived in Spain, domestic violence was a big problem. I remember hearing about cases of “normal” families. For example, a sixty-year-old man killed his wife with a hammer. We don’t have too much of this in Venezuela even if there are cases. In a country with problems of drugs, weapons, alcohol, and a culture of machismo, these problems are present but I would say the country is not characterized the same. 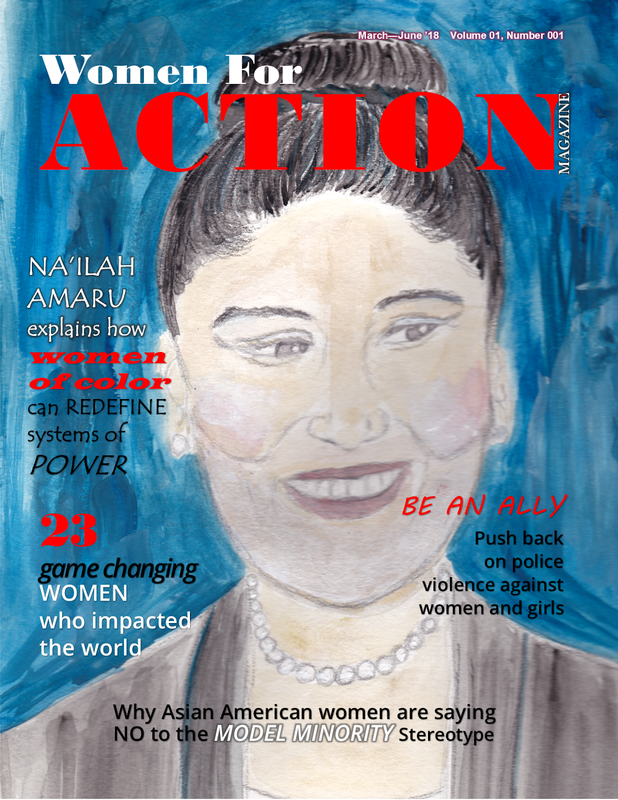 Women For Action: Among your many achievements, you were a recipient of the Magnum Emergency Fund Grant in 2014 from the Magnum Foundation. Tell us about your project “Nuestra guerra, nuestro dolor - Our war, our pain”. Why was it necessary to portray the mothers who lost their sons in this war? Oscar B. Castillo: Amongst all others, “Nuestra Guerra, Nuestro Dolor - Our War, Our Pain” is my most important project. 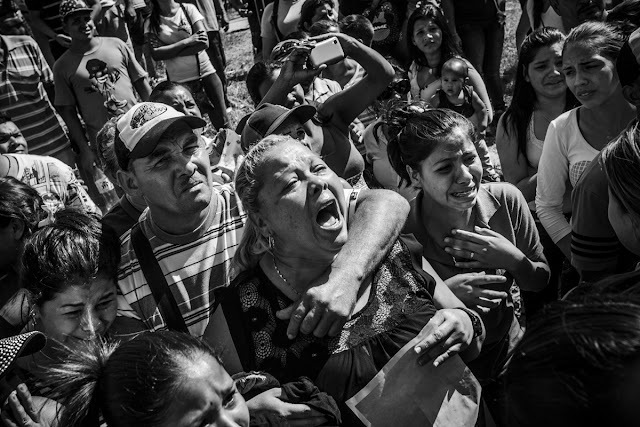 It captures the violence in Venezuela, the causes and consequences of it through a wide-angle lens. That award is a part of a series of awards and recognitions for following Venezuela’s problematic, decadent and now catastrophic situation. I called it “our war” because it’s something very specific to our situation. I am not talking about the war of violence only, but also about the war inside society, a cultural and spiritual war, something that is constantly clashing between us and that does not only manifest in the violence. In that work, you don’t see much of the typical street violence and dead bodies. I tried to focus more on the before and after and, of course, as I mention before, women play a very important role because they are related as mothers, as wives, as sisters, also as victims and sometimes as perpetrators. It’s not their main role but this happens as well. Women are the most important AXIS-INSTRUMENT to keep society moving but many times are also accomplices in some way and, of course, I am talking more about the mothers in my work because every victim has a mother. However, not every victim has a wife, a daughter or a sister. In this part of the gang culture, the young men and boys are ready to die. In many cases, the mothers know that their kids are troubled but they do not expect their child to die in such a manner. It is important to examine that process. Also, there are some people in completely unjustified situations such as being subjected to summary executions by the police. There is a whole wide range of situations that leave women as collateral victims, the ones who are carrying on their shoulders the fight for justice and the pain of seeing many deaths. There are mothers who have two, three and four kids in this kind of situation. You will come across a family once for a case and two years later, you find them again for another case and another victim. Some women have had two children and a husband lost to this in different situations. That gives you an idea of the level of violence and how they are not isolated situations. Also, it gives you an idea of the pain, scars, hard feelings and hate towards the very thing that is killing off their family. Women are at the front of that fight. For me, it’s important to talk about it, to show the dignity, the strength the women still have after all these hard experiences, and how they fight to keep on taking care of family including the men. Even though, sometimes he is absent and present and contributor to the problem. So, I think its important to have to keep this discussion going. Caracas – Venezuela. Aracelis Sanchez stands up for a picture in the place her son Darwilson, 19 years old, was shot by police forces in a raid. Police version says Darwilson tried to escape and shot at the officers while Mrs Aracelis version said he was shot 3 times first and when police caught him and took him to hospital, where he died, he had 9 shots. 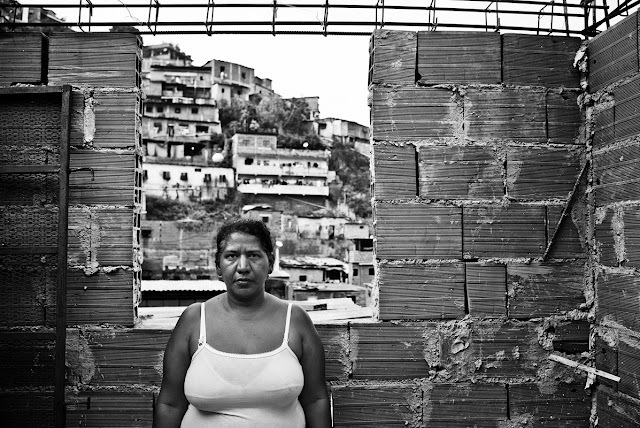 Women For Action: You formed a collective with Fractures Photo which documents “human stories of struggle, growth, consumption, suffering, and resistance”. Tell us about the stories you are telling. Oscar B. Castillo: We are a collective that formed after meeting one other in Barcelona years ago as part of some social movements, squats, anti-jail movement for the abolition of prisons and for immigrants with no papers. Before the collective, throughout our social involvement and a lot of partying, we stayed in contact. After moving away from Spain, years later, we reconnected and got into photography. More or less, we had the same vision and many shared ideas. They had formed a collective and they invited me. Guillaume Darribau is from France; William Sands is from the USA and Anderson Barbosa from Brazil. We had a do-it-yourself, independent idea and it moved a little bit slow at beginning. It is a hard way to work yet we are inspired by collectives who are doing great stuff and has a niche. The good feeling and motivation about it is to think you are working with people that believe in what you believe and see society as a continuous fractured place that even if it has many possibilities, it is like sending everything— economics, politics, the environment and culture straight to hell. I try to at least work to not support those kinds of things. I think too many times we have worked for the people who are carrying on with that destruction. We must behave as a counter-power in some way, being objective but also subjective as much as possible— becoming a filter and being reflective, with vision, not behaving as a robot that takes [a beautiful] picture then submits it and the work is done. Your work is a constant reflection with an ongoing discussion, is a vehicle for discourse and power. For a long time, it has only been the voice of the media talking. The photographer was like a mere object to transport that discourse. Instead, we need to include the subject more. I mean it’s not our voice that matters, but we are contributors to that discussion. However, the focus is the voice of the subject and we strive for that in our photography work. In our work, we are not just giving voice to the people, but their social struggles and processes. There have been educational factors and political agendas that have hindered various mediums and platforms that have allowed the people to use their voices. That’s where we’ve stepped in. We have worked as catalyzers and supporters of those struggles. As a collective, we do not perform militant or activist photography. To be clear, personally, it’s not my main mission and it isn’t Fractures’ focus. We are using the camera as a tool and continuity of a variation of ideas. Women For Action: You are also collaborating in the project VOIZES which is “an international census of this prison experience”. What is the aim behind it and how/where do you plan to expand it? Oscar B. Castillo: I collaborated early on with Voizes. The project has a very interesting mission. It tries to collect different prison experiences in various countries and it examines the commonalities and differences. It confronts these individual experiences in first-person almost without a filter. The objective is to gain institutional and academic support for an archive of various countries and their prison institutions. The prison experience is complex. For example, the experience of a political prisoner in the 1990's would be very different than the experience of a criminal prisoner in the 1970's. Even further, a modern day prisoner in different countries or in the same country but in a different time period can produce a variation which makes the concept interesting. I work with prisons a lot. It’s an interest of mine. In Venezuela, I have been working on a project for almost three years inside a prison. It is set to release really soon. It provides an in-depth vision of that experience in Venezuela. There is a crazy situation going on inside those jails. Again, the women play a significant role. It is the mothers mostly whose life is connected to and entrenched in the violence. Women For Action: You have worked in areas that are in great distress which make. You’ve covered many stories from the earthquake in Haiti, to struggles for independence in Indian-controlled-Kashmir and in a recent project you document Caracas. There have been accounts of violence against women journalists in danger zones such as this. Tell me about those dangers and what has been your experience? Oscar B. Castillo: Well, my work is personal. Every photographer lives it differently. More importantly, I think about the dangers for women photographers and why it is better to ask them how they are dealing with it. I am amazed by the resistance and strength of my colleagues. I respect their ability to overcome some very difficult situations. It is difficult because they are targeted at all levels in society. When one works in a hostile environment, in conflicts and in dangerous zones, they become even more of a target. You have to be strong to take the kind of risks one does for this kind of work. Additionally, one must assume the risk as the risks are implicit in this profession. Photojournalism can be dangerous for women working in societies that don’t value women however, there are other types of dangers that exist as well for any gender. Additionally, the industry must do better. The quantity and disproportion of man to woman on the ground is largely the problem especially if men are prioritized and needed. I can’t speak for a woman in this profession, however there is an imbalance in compensation which affects the danger for sure. If a woman is getting paid less, then that means she has less access to security such as secure places to sleep, transportation and adapted equipment. I think the balance is necessary and the spaces for women are opening but both men and women need to continuously make those spaces completely more available and more inclusive. 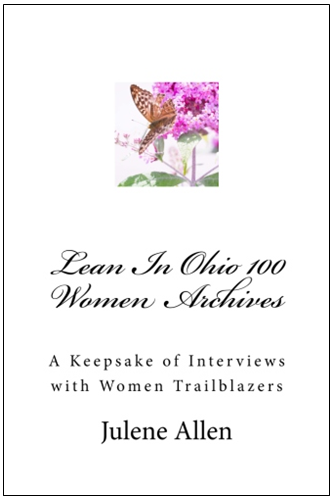 Women For Action: What would you like audience to know about you? Oscar B. Castillo: I like these kinds of discussions because you can put things into perspective. Work publications, websites, exhibitions are part of the experience but the experience is bigger and deeper than that and it is good to have discussions that focus on the many limbs and lens that come with this kind of work. A fundamental part of my work is the experiences and ideas that may be parallel to the subject I am portraying. It is never enough to talk about a subject or to tell its story.